"Phoebe’s eventual understanding of how she will gain the courage to struggle against the complex web of inhumane policies adds tension and emotional catharsis. If in this novel Ferriss makes you think, she will also make you feel." 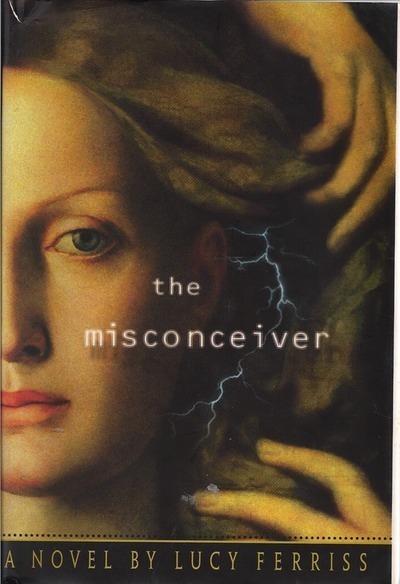 "It’s not really fair to Ferriss to say The Misconceiver is 'in the vein of The Handmaid’s Tale,' as her publisher does on the jacket. It’s too subtle and original for that." Like The Lost Daughter, The Misconceiver also began with headlines—headlines of the mid-1990s that predicted an overturn of the landmark decision Roe v. Wade. I didn’t know what would happen in our society if that decision were overturned, and so I set out to learn. By the time I had put together how one legal decision could undo another, I’d written a novel set in the year 2028, in which a world recognizably our own has moved ahead in some ways and stepped backwards in others. Phoebe, the “misconceiver,” finds her way with an unswerving loyalty to the memory of her sister.